Flush with the excitement of hosting the newest Folie Douce to hit the Alps, Saint Gervais has been gilding the lily slightly in their advertising to the UK market. 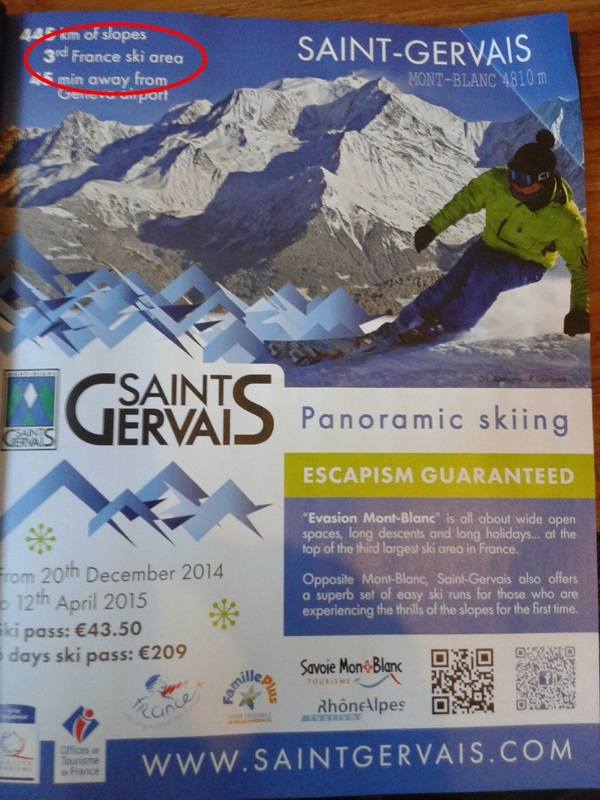 We noticed this ad in the October issue of Ski and Snowboard Magazine – ‘445km of slopes’ and ‘3rd France ski area’ (sic). It is true that 445km is greater than the 425km of Paradiski. However, while the Evasion Mont-Blanc may be under-rated as a ski area, there is no lift connection to the 120km of pistes in Les Contamines (or the 11km at little Cordon).